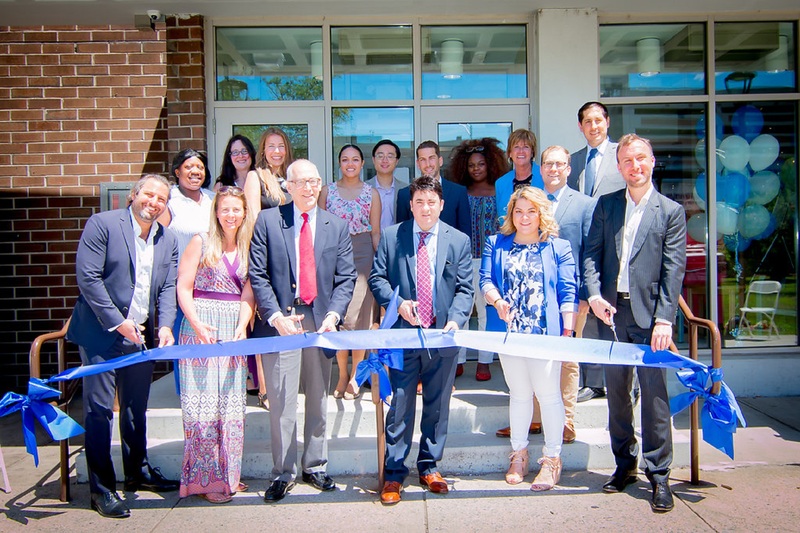 June 20, 2017 – Hudson Valley Property Group is pleased to announce the completion of the $11 million renovation project at Colt Arms Apartments, located in the 1st ward of Paterson, New Jersey. Dean Santa, Division Director of US Housing and Urban Development joined the development team at the ribbon cutting ceremony on Tuesday, June 20, 2017 at 11 am. The property is located at 52 Godwin Street in Paterson, and was acquired in January 2016 by Hudson Valley Property Group, a New York City-based developer that is dedicated to the preservation of quality, well-managed affordable housing throughout the tristate area. Colt Arms is one of the early preservation projects in the nation utilizing the Rental Assistance Demonstration II (RAD II) program, which included the issuance of a new 20-year, Section 8 Project-Based Rental Assistance (PBRA) contract. The “project-basing” of the apartments not only ensures that Colt Arms will remain quality, affordable housing for decades to come, but it also made additional rental assistance available to residents that did not previously receive subsidy. “The majority of residents were not subsidized. As a result of the RAD program, effectively all of the residents who are income-qualified received project-based assistance, which lowered the amount of money that the tenants had to pay out of pocket,” said Jason Bordainick, Managing Partner of Hudson Valley Property Group. The Colt Arms deal required several sources of financing, including 4% low-income housing tax credits and tax-exempt bonds from the New Jersey Housing and Mortgage Finance Agency. R4 Capital syndicated the credits to raise approximately $10 million in equity, and Red Stone Tax Exempt Funding did a private placement to purchase the bonds, providing approximately $20.5 million, including a $1.9 million interest reduction payment loan. Metro Co. acted as consultants for this transaction, and the Nixon Peabody and Berman Indictor law firms collaborated on the deal. The renovation endeavor, which completed in December 2016, at Colt Arms was transformative. The nearly $11 million scope of work included extensive upgrades to units, building systems, security and common areas throughout the property. The project included the replacement of the heating and air conditioning system, and energy efficient upgrades including lighting, appliances, water saving fixtures and a solar panel roof. Unit kitchens and bathrooms were renovated with new appliances, flooring, cabinetry and fixtures. Elevator cabs were replaced along with the building’s fire alarm. The building received a new sprinkler and security system. Exterior work (in addition to the new roof) included brick masonry replacement and re-pointing, and improvements made to the parking lot and walkways as well as tenant recreation spaces. “My favorite thing they renovated is my kitchen – it’s awesome. I just love coming home. You come home to a nice, warm, clean, bright apartment. It uplifts your spirit,” commented Colt Arms resident, Leola Freeman.